The children have been very busy this week. 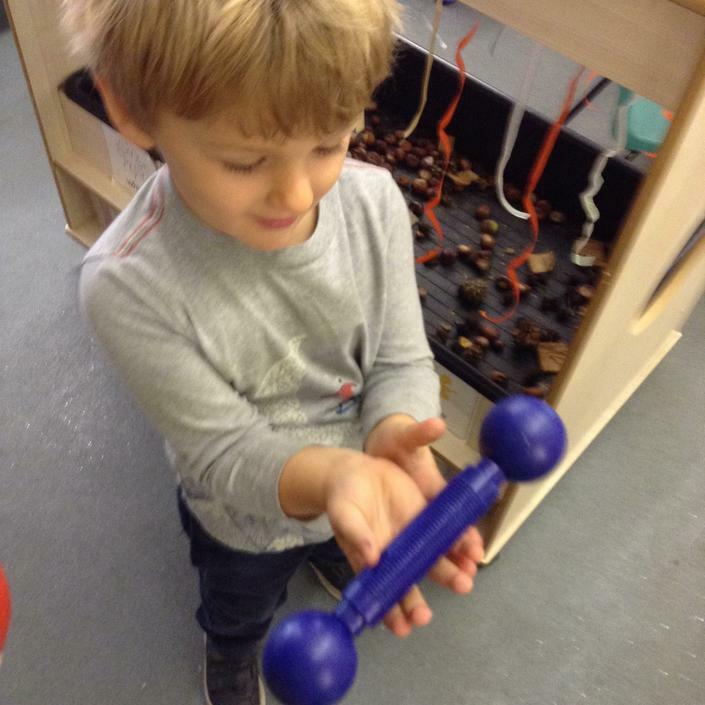 They have really enjoyed some more Autumn activities including Autumn cutting and exploring Pumpkins. We have used lots of great vocabulary in the discovery area to describe what we can feel, smell, and see. 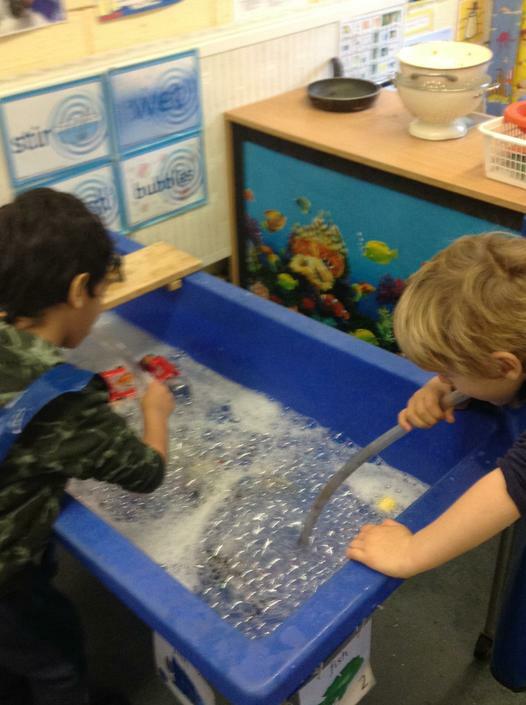 The children really enjoyed handling the slimy inside of the pumpkin and we were amazed at how some of the children chose to explore the pumpkin and role play making soup by filling it with a variety of Autumn objects. 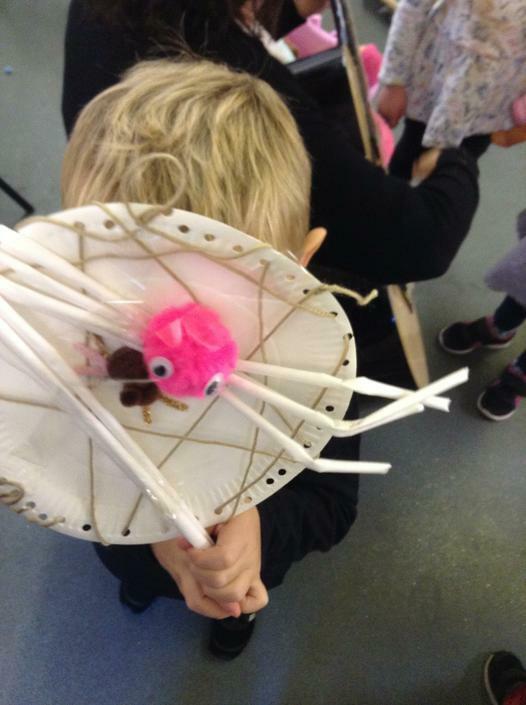 Her are the children busy developing their fine motor skills by creating some paper plate spider webs. 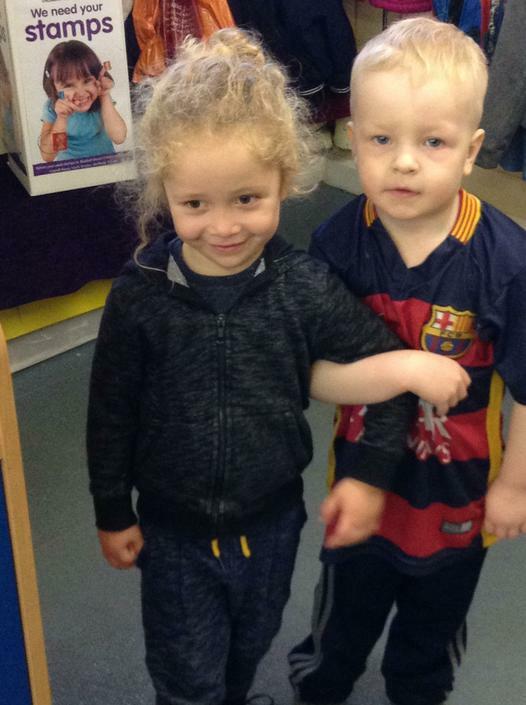 The children have also spent lots of time this week playing together and making new friendships which has been wonderful to see. 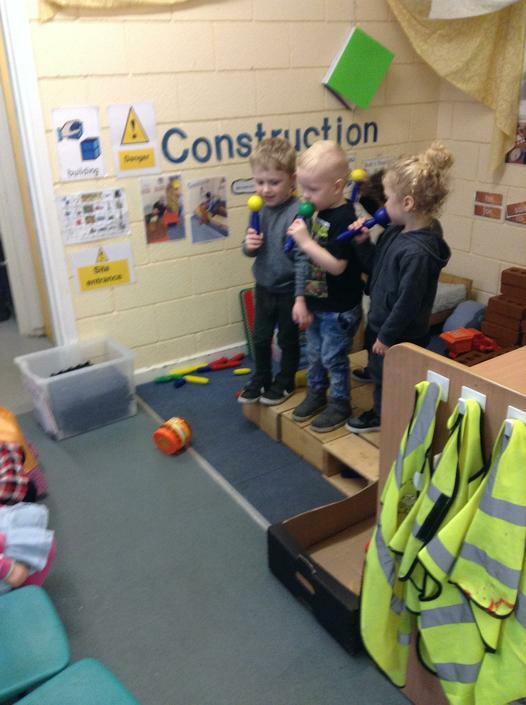 The children enjoyed making their own stage and microphones in the construction area. They loved pretending to be audiences and performers for each other. With last week being so short, we decided to Blog two weeks together. We have continued to look at Autumn objects and have had great fun breaking into conkers and handling some very spiky chestnut cases. 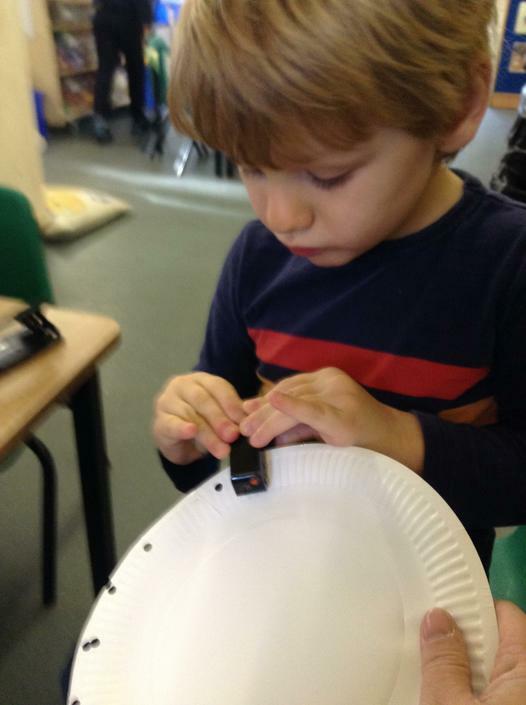 Our leaves that we collected to make our Autumn Elmer are changing everyday and we have used the magnifying glasses on the Discovery table to see them close up. 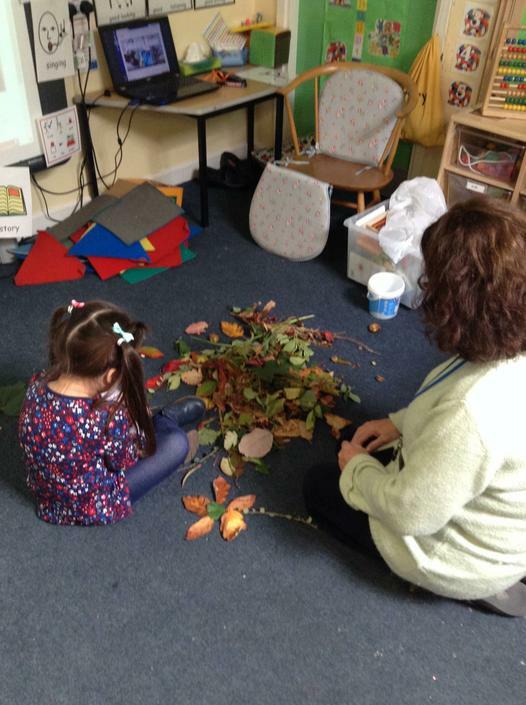 Thank you to the children who have been out and collected lots of Autumn objects for us to look at. 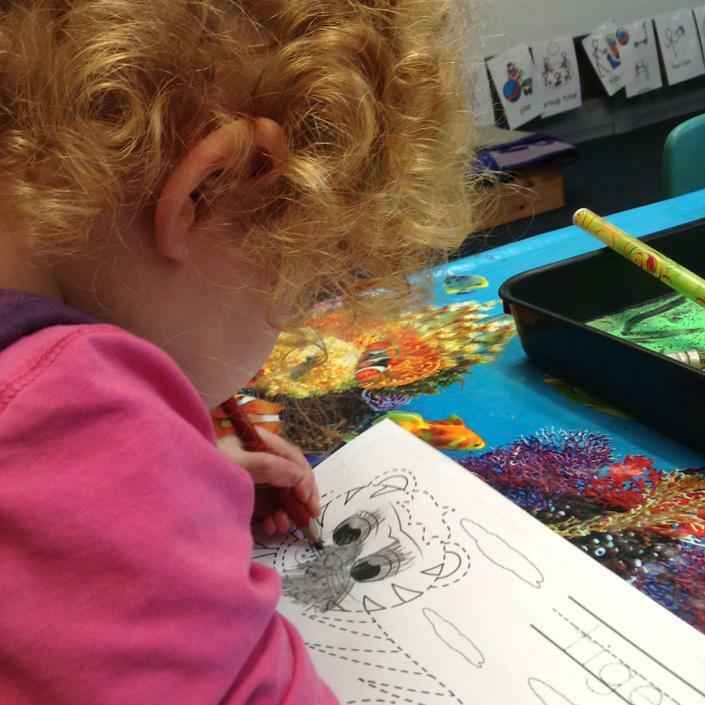 Alongside our Autumn learning, we are still following our theme, All About Us and we have been practicing our pencil control by tracing over lines to draw and colour in jungle animals. 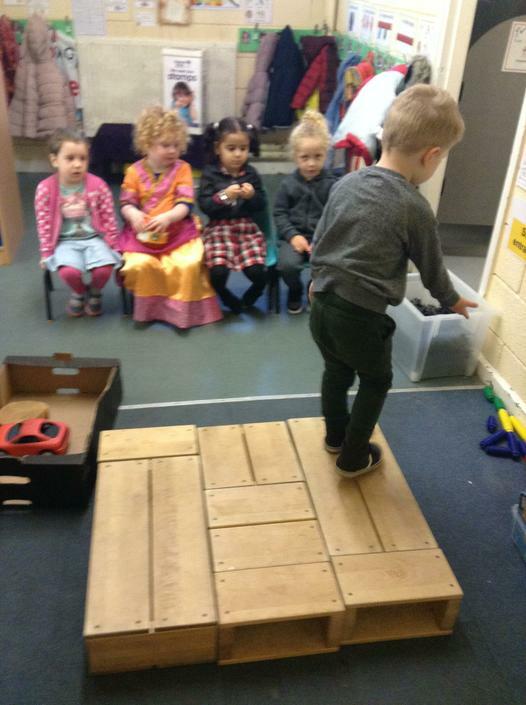 There has been lots of imaginary play in Elmers over the past couple of weeks. 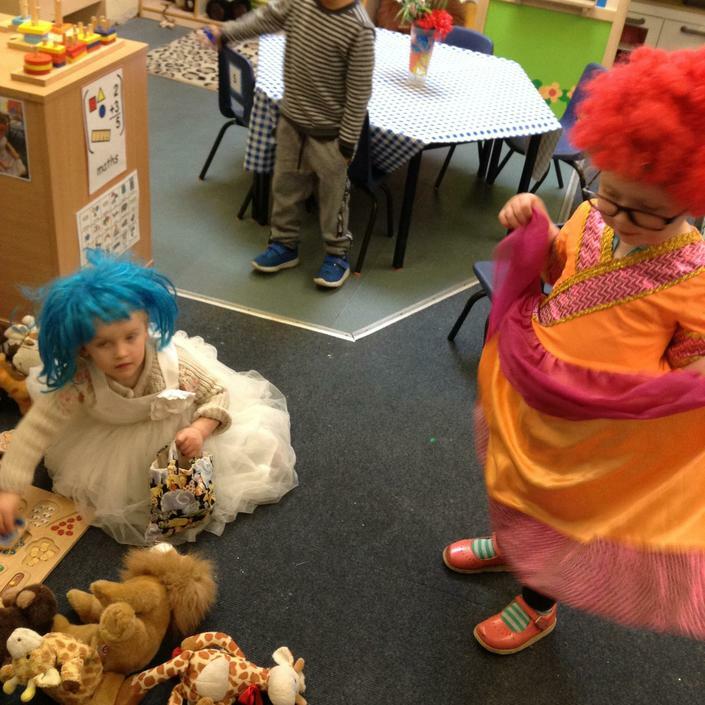 The girls have enjoyed dressing up and picnicking with our jungle teddies and the boys have been making ice-creams and weights in the construction area. 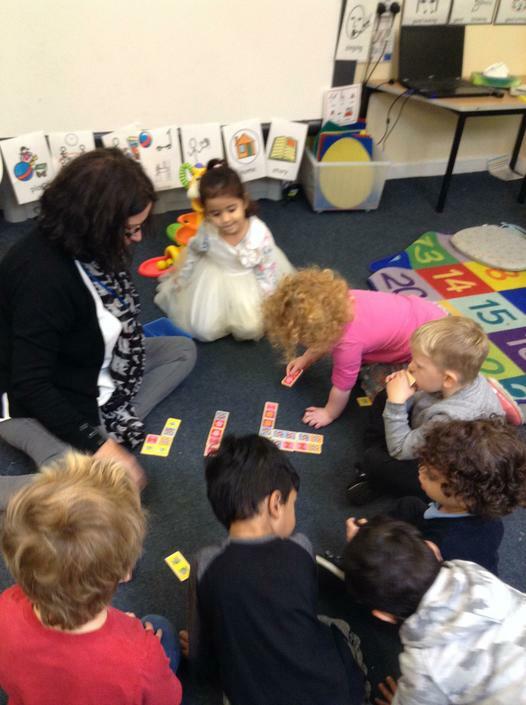 We are now getting much more familiar with the routines in Elmers and have been practicing our lining up and taking turns by playing games with Mrs Bracken. I wonder what fun we'll have next week? We are still collecting stamps for our class charity, Bluebell Wood Children's Hospice, Please bring any used stamps and put them into our collection box in the cloakroom. Please take a look at our Homework link to find out the sound of the week, number of the week, colour of the week and rhyme of the week. There will also be a link to a video for the rhyme to help with how the tunes go. We had such a busy week last week that we haven't had time to put up the photographs yet. We've have been taking advantage of the warm weather, while we still can and have been spending lots of time outside. We have played on the Elmer playground, the trim trail and also had an afternoon riding on the bikes and coupe cars. We will try and get outside as much as we can before the cold strikes. We have all been creating self portraits with Mrs Laver and they are just about ready to be hung in our Cloakroom area for you all to see. We can't wait. Watch this space for our pictures. This week we have been finding out a little more about ourselves and getting to know our environment. We are getting busy now in Elmers so we have lots more friends to play with. A warm welcome to Walkley and to Elmers class to all our children who have started this week. Here are some of the things we've been up to. 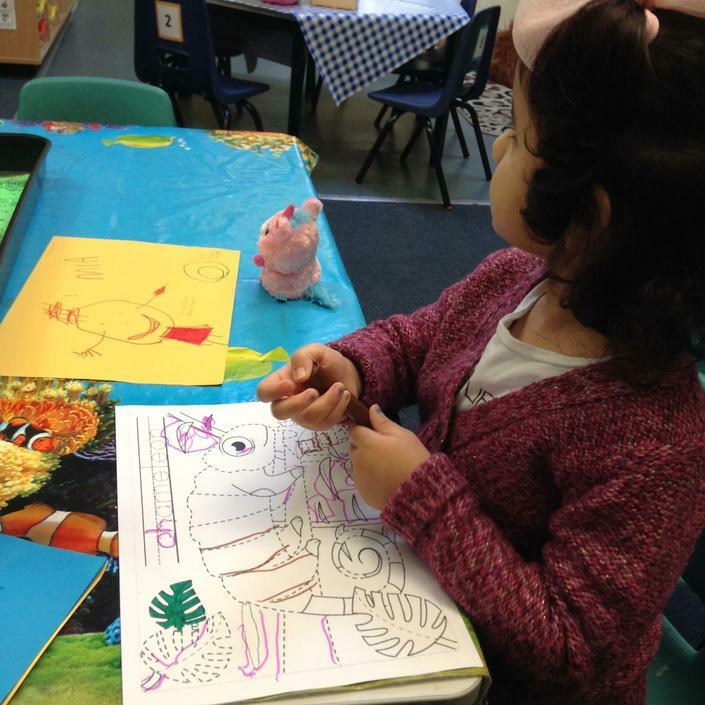 First of all, can we say a very warm welcome to all of Elmer class and their families. 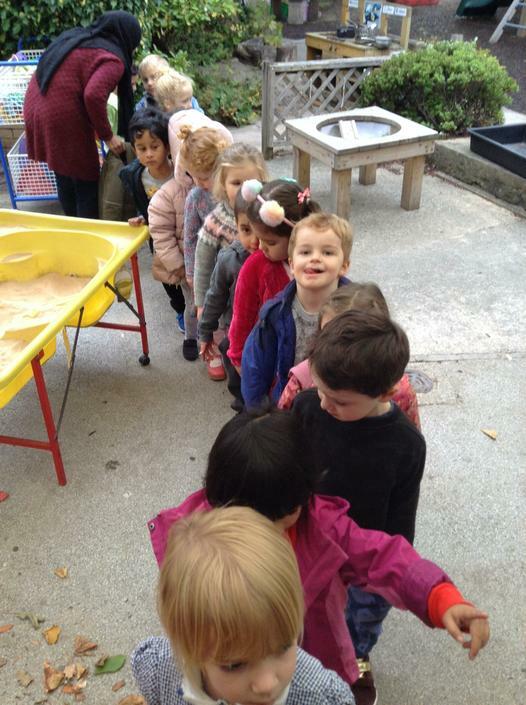 For some this will be a new term and others their first experience of nursery. What a super start we have had to a new school year! This week has been our Forest School week, where we have spent some time exploring the orchard and wooded areas on the school grounds. 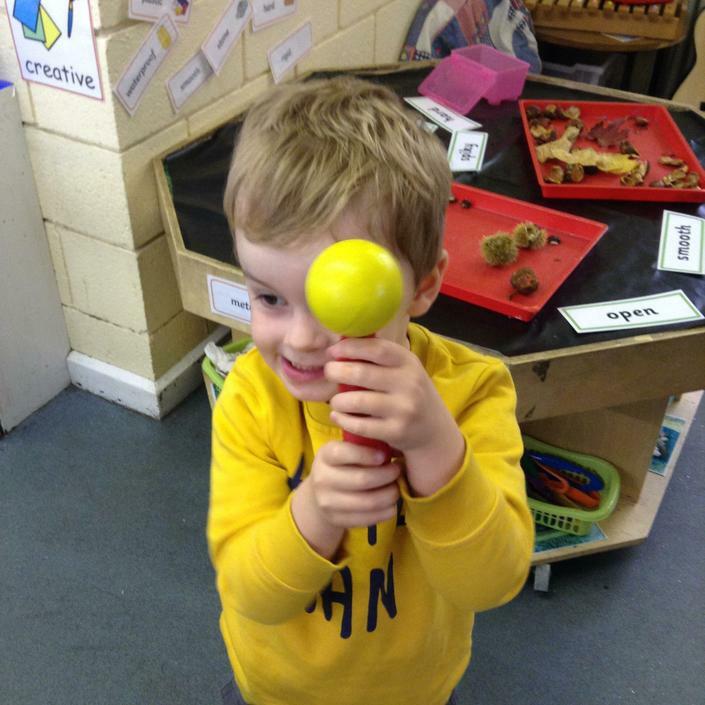 We've collected apples and pears to create some delicious recipes, collected colourful leaves to make a collage and enjoyed games of Elmer hide and seek, as well as listening to Elmer stories in the wood.